I figured I start the day (and the blog) with the universally feared starch, pasta! 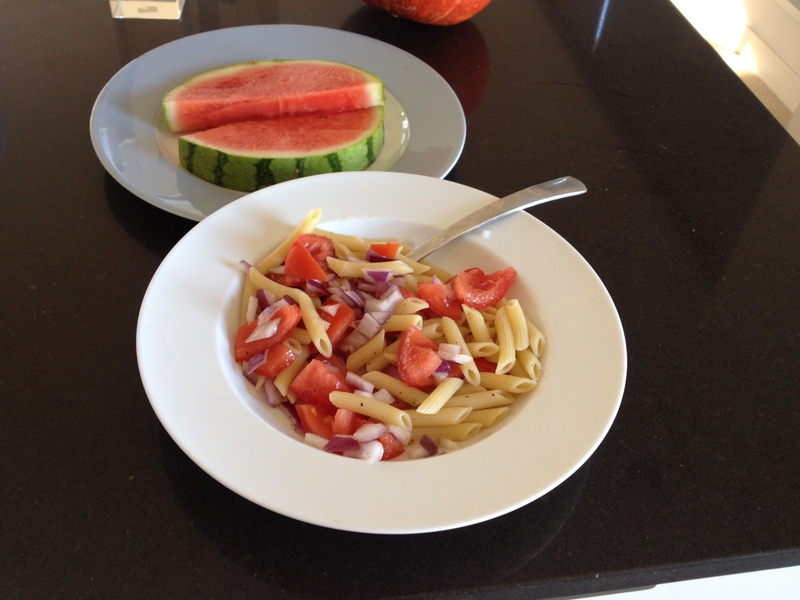 Ok, I have to admit 100g of cooked penne doesn’t look all that scary, especially with the fruits and vegetables. Still, it’s 1/9th of my starch for the day!